Yandere. This is actually a term developed from Animé. 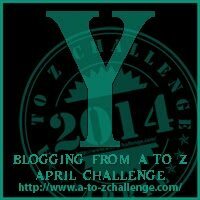 It comes from two Japanese words, yanderu (meaning sick) and deredere (a strong and/or deep exhaustion, infatuation, moonstruck, head-over-heels, or simply lovestruck). Despite the origins in Animé, the concept of it is very old. The Japanese definition describes a person who is initially very kind, loving, and caring they really care about a lot. That is until their innocent feeling turn to intense romantic love, admiration, and devotion. Often to a mentally destructive point through over-protectiveness, violence and/or brutality. Feel sorry for anyone they desire, as they will know great pain thanks to the Yandere. They may favor a particular weapon, not above making someone hurt, and handles rejection poorly. They are mentally and emotionally unstable. The earliest example of this is actually Mesopotamian goddess Ishtar (Inanna) as her lovers ended up dead. These types of girls give love a bad name, but to be fair, it doesn’t have to be a female doing this. Most of the time it is, but there are a few male characters like this. 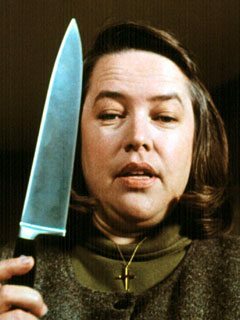 The best example of this, and one of my favorite movies (especially as a writer) is Annie Wilkes from the movie Misery. The object of her affection is a writer who she has kidnapped and forcing him to write a novel for her. Her weapon of choice…a sledgehammer. 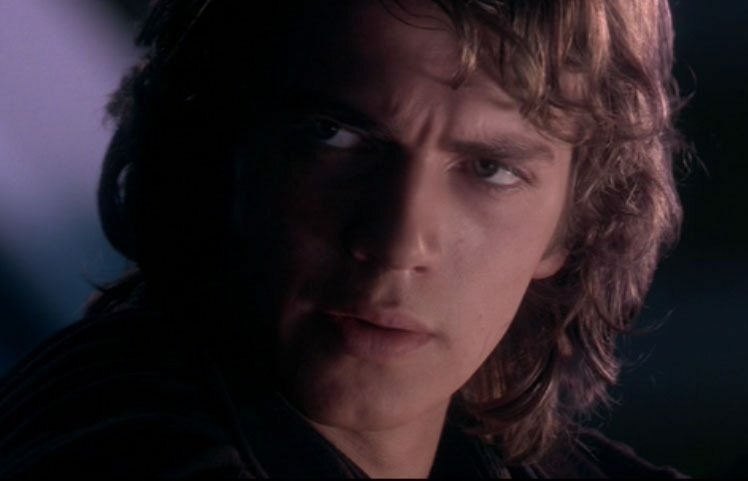 Anakin Skywalker is one of the few males that play in this trope. Since a young age, he’s only loved one girl. He ends up marrying her and decides to go to the Dark Side to try to prevent her death, only to be responsible for her death, as he felt she betrayed him to Obi Wan who he saw as a threat. 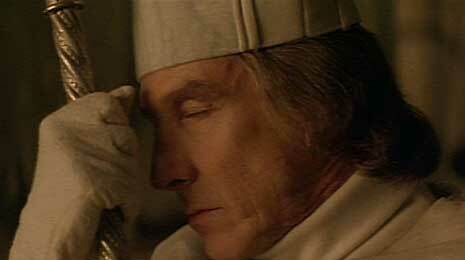 Another male of this trope was Bishop of Aquila in Ladyhawke. Despite his position, he deeply loved Isabeau. But she loved someone else, so he set a curse on both of them, prevent them from every being together. Xander in Buffy the Vampire Slayer used a spell to turn all women into this. Willow on a few occasions, most notably when she wiped Tara’s mind so she would forget their argument. 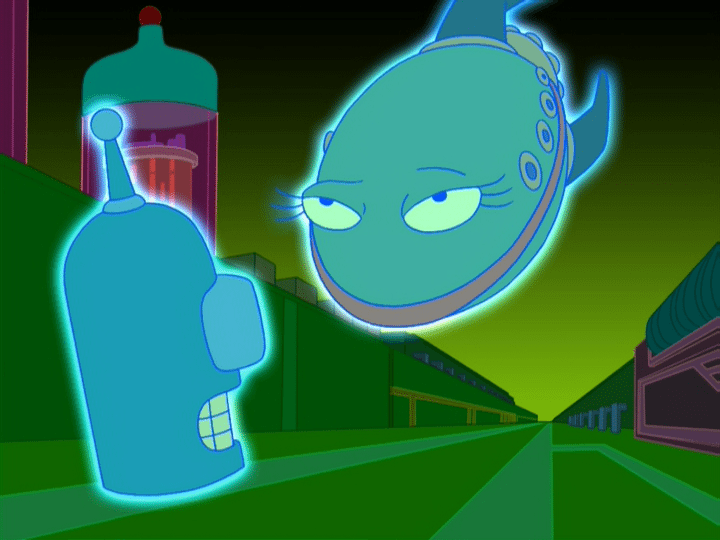 The Planet Express ship in Futurama, due to her relationship with Bender. For a Big Bad villain, the end justify the means. This can leave them a bit paranoid, in fear of someone betraying them, or failing them to no end. Thus, they decide to terminate their employment, or more specifically, their life. Gabriel in Live Free or Die Hard employed this when everything was complete, all the computer hackers died. Now, it doesn’t have to be someone in their employ. It can be a 3rd party that is work for hire that they simply decide to kill them rather than pay them for their work. It saves them money and removes the link that could come back to them. This can also be combined with someone Failing for the last time, resulting in a death. The Antagonist may see people as tools or functions to their roles and doesn’t value their life in any way. Likely because of a Self-serving bias they have. Interesting twist when the Big Bad is betrayed by their underlings due to his own failure, or an outside 3rd party. Simon Phoenix fits this bill in the movie Demolition Man. While Phoenix couldn’t kill Cocteau, he gets one of his henchmen to do it that he earlier convinced Cocteau to release. Cocteau thought he was in complete control until that point. If there is one thing we can respect about a highly crazy lover or a power villain, is their dedication. Motivated to the very end. Whatever gets in their way is destroyed and they fight to get what they want. In many ways, a Yandere is a type of over zealous villain trying to take over the world. However, they can’t have complications to their plan. Anyone not necessary or have served their purpose is a possible weapon to be used against them. These sound corny, but they can help establish your villain, set him a part from the rest of the cast, if done correctly. The villain doesn’t always have to be trying to take over the world, and simply wants to be loved by the character. People can get overly bonded with someone or something emotionally and they can be quite psychotic over their proposed need for it. That being said, there is a danger with dedication, that doing it because it is a trope. Never write something because you think it is required to write it. Write something because you think it belongs there. Now it may work and it may not.